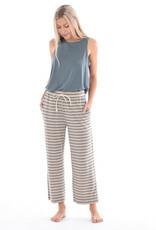 Let the sun shine in... and this pant might just carry us away on a sunbeam. 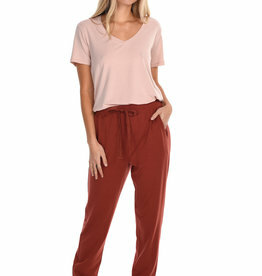 Luna is a simple crop tencel knit pant with gathered waist and drawstring and a straight leg. 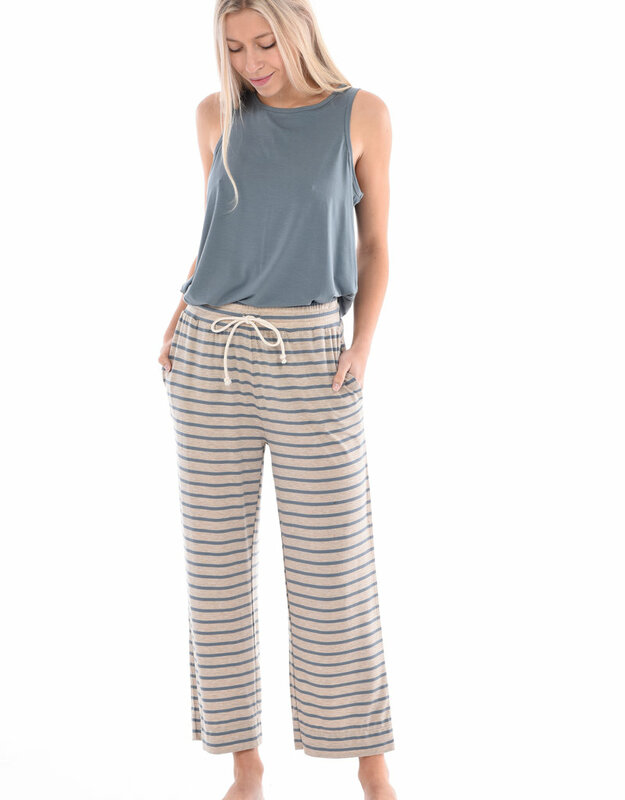 Available in our solid colours and our stripe.